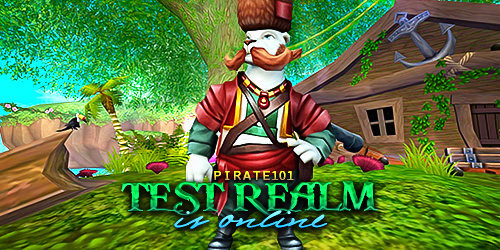 The Pirate101 Test Realm is live once again and available for download! 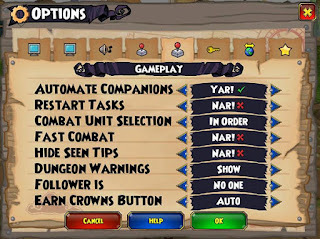 Please join KingsIsle in testing Avery's new Diplomat quests, Practice Ship PvP, Team Up Ledger, Emojis, Auto-Companions, and other bug fixes. Captain Avery's dream is coming true: Skull Island is going to be a republic! 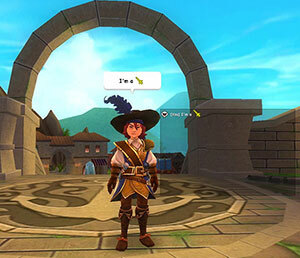 For players, this means new adventures await those who have completed the quest "Gunn's Gold". 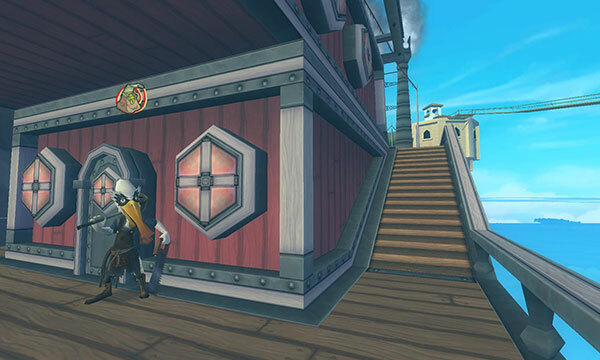 Avery's new quests will take you across Skull Island, and always guide you back to Zeke's Party Barge. 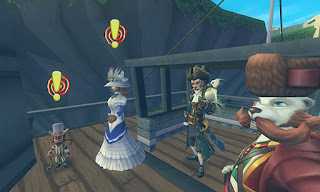 Once you complete Avery's initial quests, every 24 hours the diplomats on the Party Barge will offer you a level-banded repeatable quest that have a chance to reward you some of the rarest jewelry and totems from around the Spiral. Once you earn your new badge from completing these quests, a new vendor will unlock on the Party Barge. Drop by the Party Barge often! You never know who or what you might see there! For all those who are level 3+ (and nautical level 3+), Mickey Dugan has a new quest titled "Broadside!" This quest will direct you to the Skipper and open the portal to a random location in the ship PvP zone. It's sure to be a dangerous place! There are new badges for both sinking ships and for being sunk in Practice Ship PvP. Visit the new Join a Team Ledger in Skull Island, proper to find a group for adventures! It will display a list of all teams that are waiting for additional members. Only the dungeons and worlds that your Pirate already has access to will be listed! Press the "Refresh" button at the bottom right to update the list and look for additional teams. Pirate101 now has emojis! Click the skull face icon on the right hand side of your chat window, and this will open up a menu of emojis you can add to your conversation. If you'd rather not see emojis, there is a toggle now to turn these on and off from your options menu. Now your companions have been given intelligence to act of their own accord! 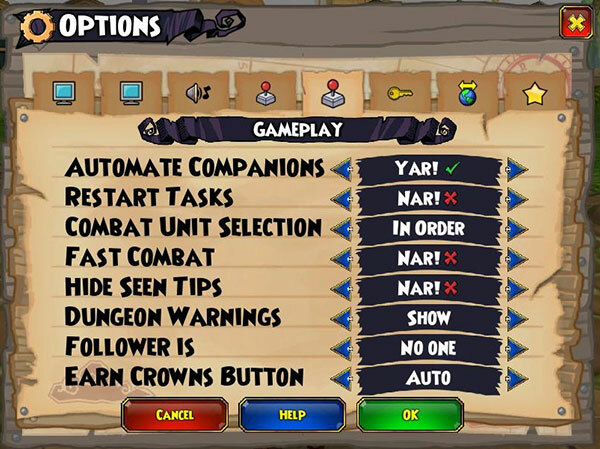 The "Automate Companions" option now defaults to "on", but you can toggle this off through your options menu. While Automate Companions is on, whenever you don't issue a command to a companion, they will approach and fight the enemy as they see fit. This also works for Henchmen! For a complete list of updates, click here.